Follow this plan to reduce your rates and your interest costs. Interest on credit cards can be a powerful force -- for credit card debt. Especially since it compounds, piling interest charges on top of interest charges. In 2018, Americans paid $110 billion in credit interest and card fees, according to research completed by LendingTree's MagnifyMoney. Don't let your credit card interest consume you. Here's how to reduce those costs -- by lowering the interest rates on your cards. © Provided by Cheapism FrameStockFootages / Shutterstock Remember to be polite! The representative on the other line is just doing their job. The interest rate on a credit card is more precisely called the annual percentage rate, or APR. A bank credit card may come with a rate in a range of 13% to 22% APR. Your rate's too high? To fix that, start by picking up the phone, dialing the number on the back of your card, and trying to negotiate with your current card provider. If you have more than one card, start with your oldest card first. Companies want to work with loyal customers, so you'll have better chances of securing a lower rate on a card you've had in your wallet a long time. If you're turned down for a lower rate, be persistent and try again another time. Asking to speak to a manager often helps. © Provided by Cheapism mirtmirt / Shutterstock You might find some low interest rate credit cards with cool rewards if you shop around! There's a whole world of plastic out there. Why limit yourself? Do your research and compare your different credit card options. With a little digging, you should be able to find one that meets your needs and has a lower interest rate. You can use this information to your advantage by bringing it to the attention of your current card issuer. The company more than likely will be willing to match a competitive rate, to keep your business. © Provided by Cheapism TransUnion There are a number of online agencies that will help you track your credit score. TransUnion is one of them. A simple way to get a more favorable rate? Raise your credit score. A higher credit score shows the credit card issuer that you're responsible with credit. One way to raise your credit score is by examining your credit utilization percentage, which is how much of your available credit you actually use. Ideally, you want your credit utilization to be less than 30% of the credit at your disposal. Paying down balances and lowering your credit utilization can work in your favor to boost your credit score and land you a lower APR. © Provided by Cheapism baranq / Shutterstock Solidify your position when negotiating with an excellent debt track record. Making timely and full payments on your credit cards puts you in a better spot for negotiating a lower interest rate. The card issuer will see that you're a good risk and are deserving of a reduced rate. 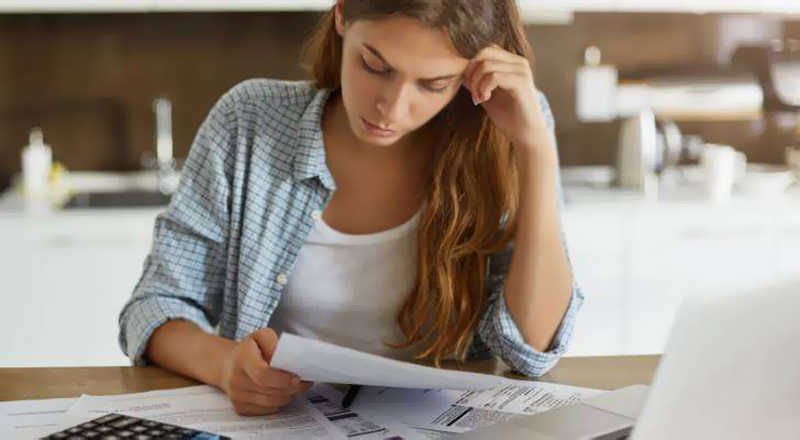 Being timely also insures that interest charges aren't even incurred on your account, and is one of the criteria considered in your credit score, so it's a gift that keeps on giving. © Provided by Cheapism Garry L. / Shutterstock Ensure that the balance transfer card you have chosen doesn't have hidden fees. Getting approved for a balance transfer credit card can instantly cut your interest rate and can reduce the interest cost of your current debt. You simply open up a new account, and consolidate your card debt onto a new, low-rate card. How low? Balance transfer cards often come with 0% APR to help you escape the compounding interest on your debt. Many balance transfer cards are interest-free for a year or more. During the introductory period you pay no interest on new purchases or on any balance you move over to the new card. © Provided by Cheapism Jeanette Dietl / Shutterstock Credit counselors create debt management plans, and help you get back on track. Credit counselors work to create payment plans and help clients stick to them. Many will attempt to negotiate card interest rates down for their clients, to lower their debt burden. Counselors can't guarantee that they'll win you a lower interest rate. But because you're working with a professional to pay down your debt, there is a higher likelihood the card issuer will say yes to a rate reduction. Credit counselors have been known to obtain average interest rates as low as 5.2% for their clients! When aiming for a lower rate, remember that your track record matters. Build an excellent credit score, pay your debts, and don't jump between card companies too often. You'll reap the rewards soon enough.